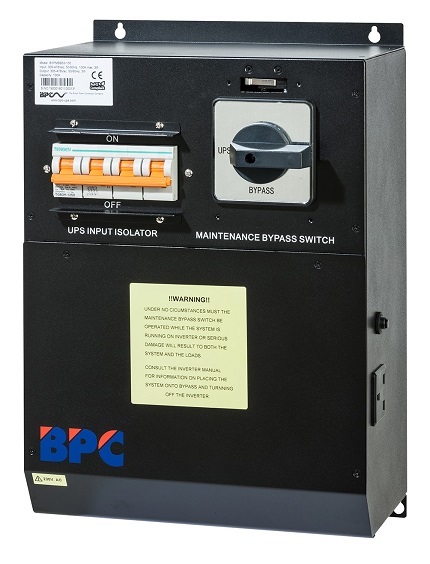 BPC offer a comprehensive range of bypass switches which are built to the highest standards using proven components. 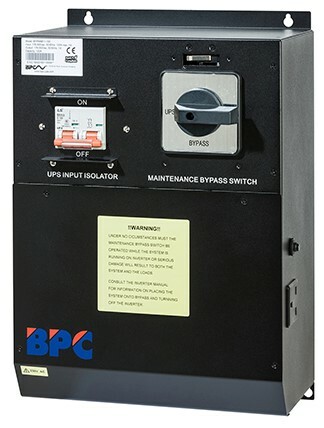 Whilst all BPC UPS are equipped with an Internal Static Switch, an optional External Manual Bypass Switch facility may be provided to offer the opportunity to do commissioning, routine maintenance, repair or removal of the equipment without any interruption to the critical load. Both make-before-break and break-before-make designs are available. Available in single and three phase with variations for dual input supplies or parallel redundant configurations, bypass switches can be customised and tailored to suit specific requirements for either UPS, Static Inverters or DC Systems.